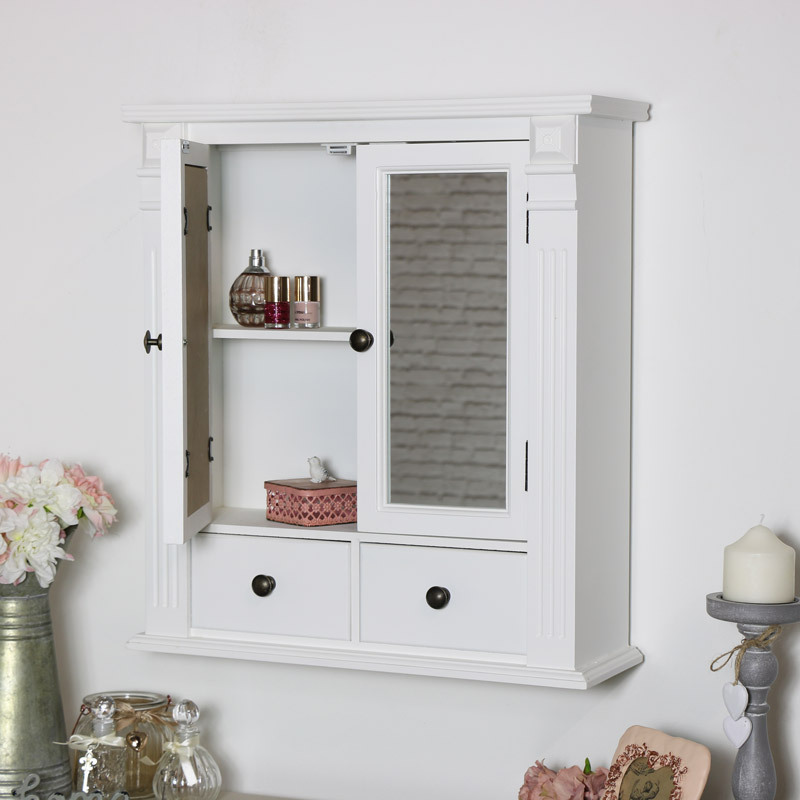 This white wall mounted bathroom cabinet is the perfect stylish addition to your home. With drawer storage and mirrored doors, it really makes for a gorgeous storage solution. The cabinet features cupboard storage with an internal shelf and 2 handy drawers below. Ideal for storing all those medicines and toiletries. The mirrored front makes a great bathroom mirror with carved column detailing that adds a great vintage feel. 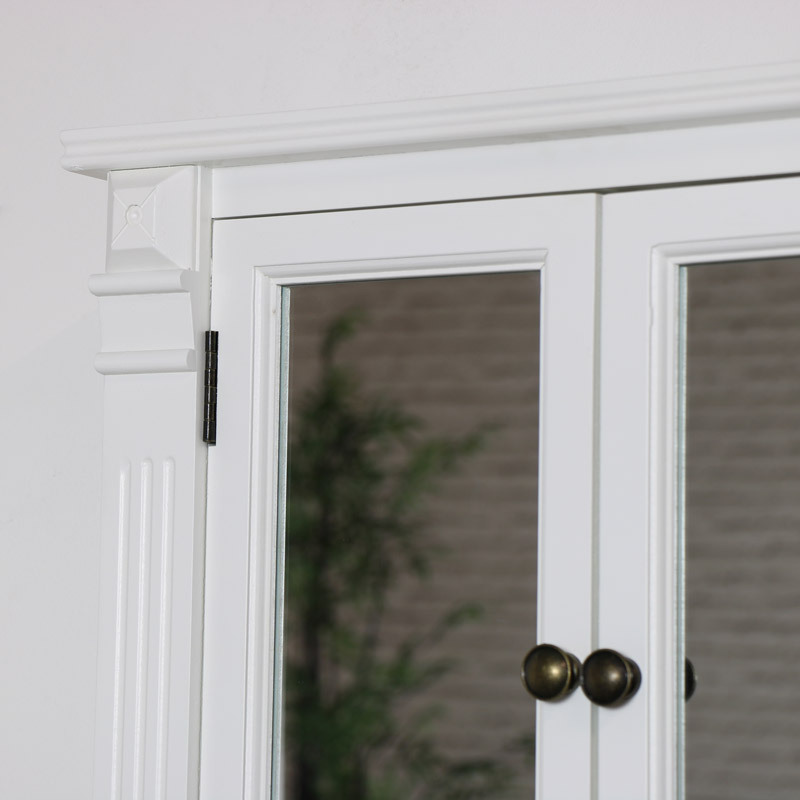 The doors come with magnetic closing for securing the doors shut and brass knobs on the door and drawer fronts. We also have this cabinet in more colours so you can match with existing colour schemes. Painted in a white finish with brass drawer and door knobs. The cabinet comes fully assembled and is easy to wall mount with fixings on the back. 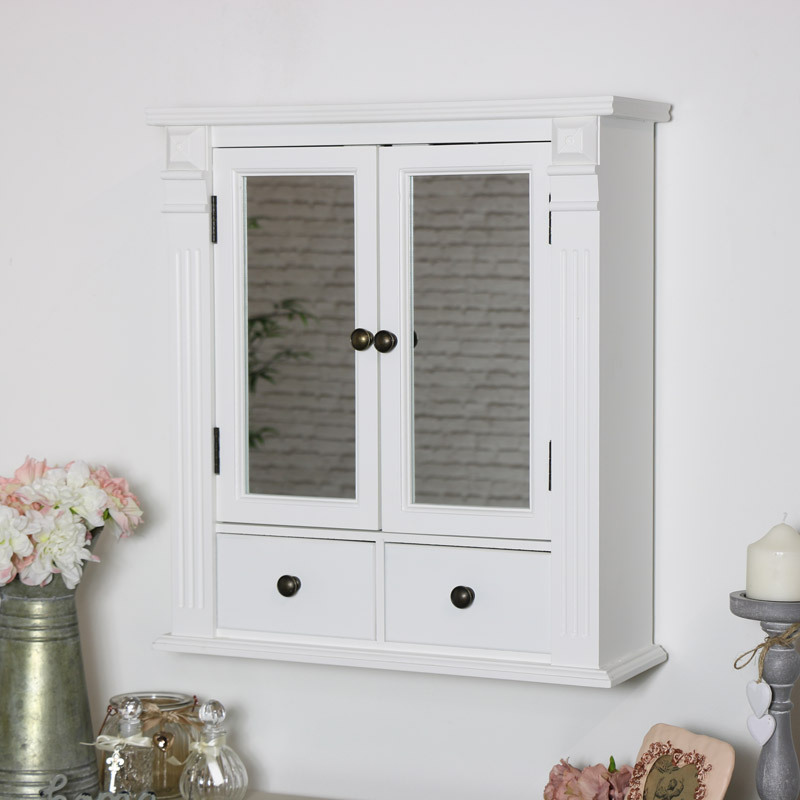 From the idyllic French country cottage to the more rustic and fab retro to the more modern industrial style, in wood or metal, we have the perfect cabinet for you.